Hi all. Back with another ‘Tasting’ segment today. 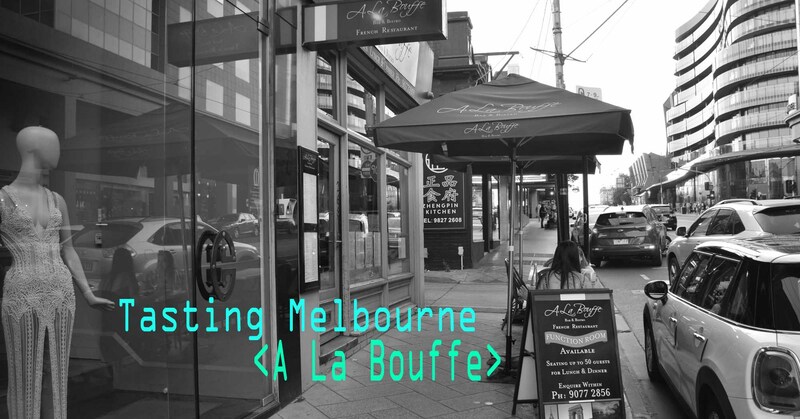 I wanted to take you all to A La Bouffe, my wife and my favourite little French Restaurant in Melbourne. Not that I frequent a lot of French restaurants, it must be said. Maybe… two French restaurants in the last five years. Notwithstanding the French restaurants I visited in France in 2017 that is. 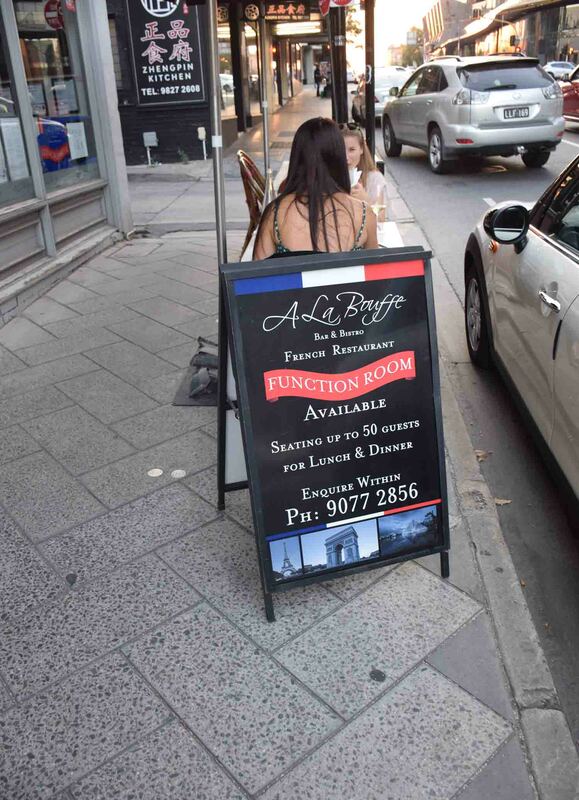 So A La Bouffe is well located in the Chapel st Precinct of South Yarra. It’s within 100 metres of Chapel street on Toorak road. So, it’s a great area to head of an evening. We recently went there for our anniversary, and had a great meal. 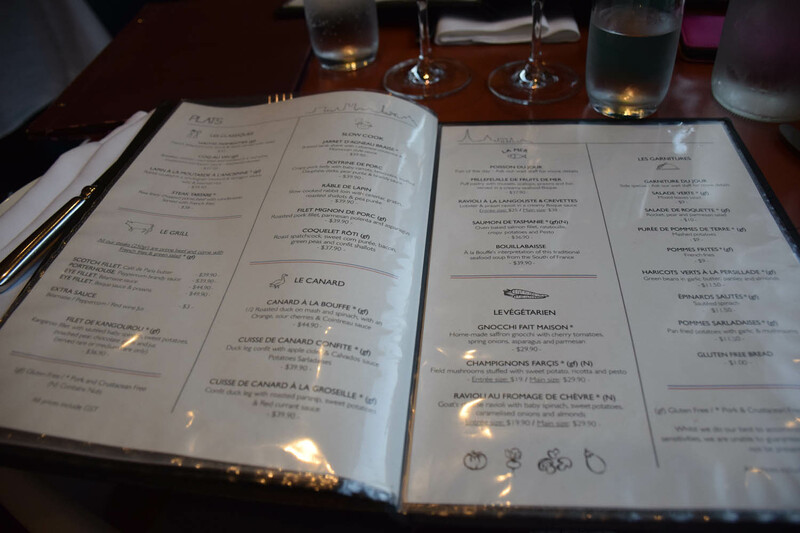 Although it proudly boasts to be a French restaurant, with flags and the name, and French-speaking staff, it has a surprisingly eclectic selection on the menu (although it is still predominantly French). 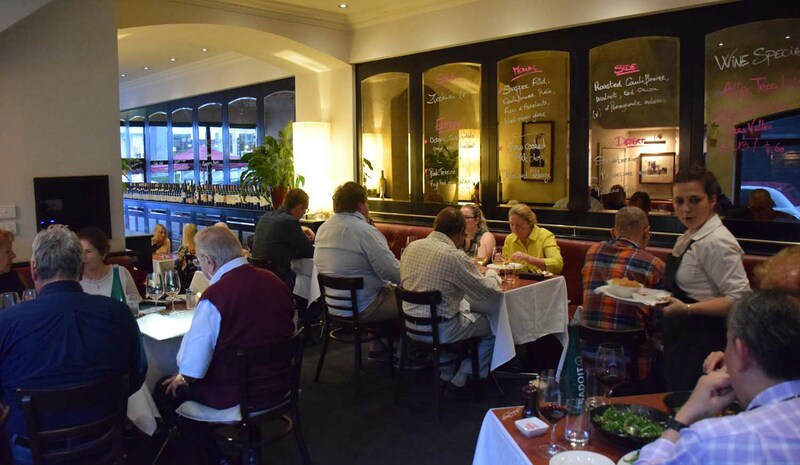 Certainly they serve escargot and frog’s legs, if you are looking for the sort of dishes which make you think ‘French’, however this is tempered with dishes with Moroccan Flavours, and in fact one of my favourites is their kangaroo steak. I’ve generally found it’s hard to cook a kangaroo steak to my liking, but here they do a tremendous job, it oozes with juices and flavours. A La Bouffe also has plenty of fish on the menu, and for something you don’t get in every restaurant, there is a lot of rabbit and duck on the menu too. And the rabbit comes well recommended – my wife had ‘Rable de Lapin’ and enjoyed it very much. 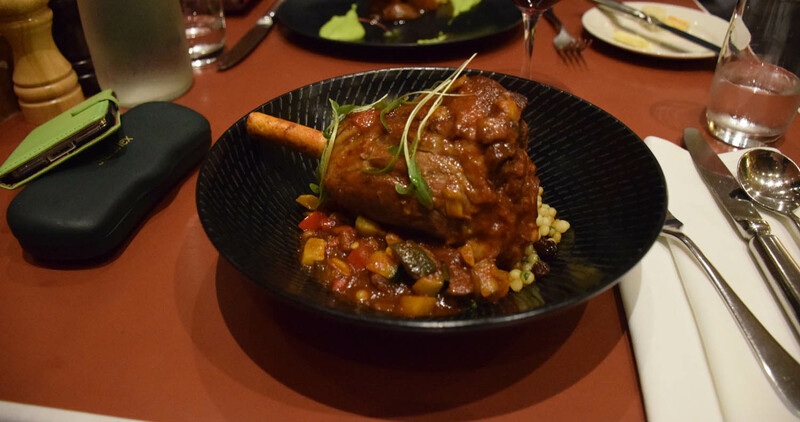 I had ‘Jarret D’Agneau Braise’, which was basically a Moroccan take on lamb shank. 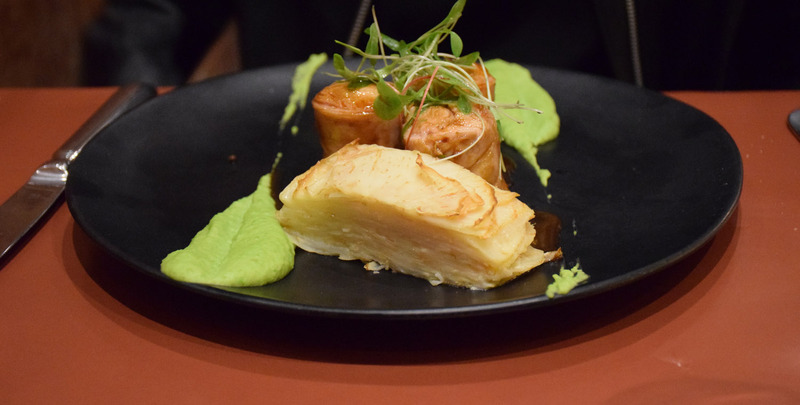 It was a great blend of flavours and styles, and was thoroughly enjoyed and completely eaten! Finally it was dessert time, and although my wife didn’t fancy a sweet end to dinner, I did, and I mulled over a couple of options. 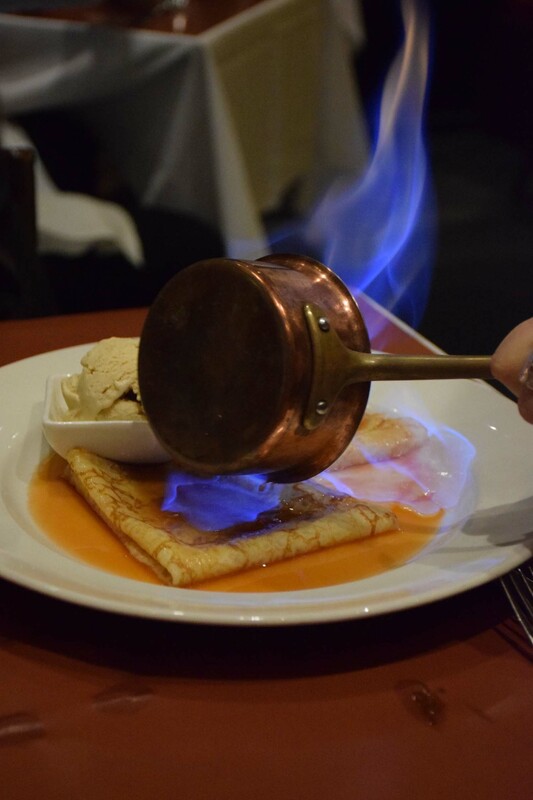 Then the table next to me had their dessert brought out – Crepes Suzette, and I knew I needed to order it! 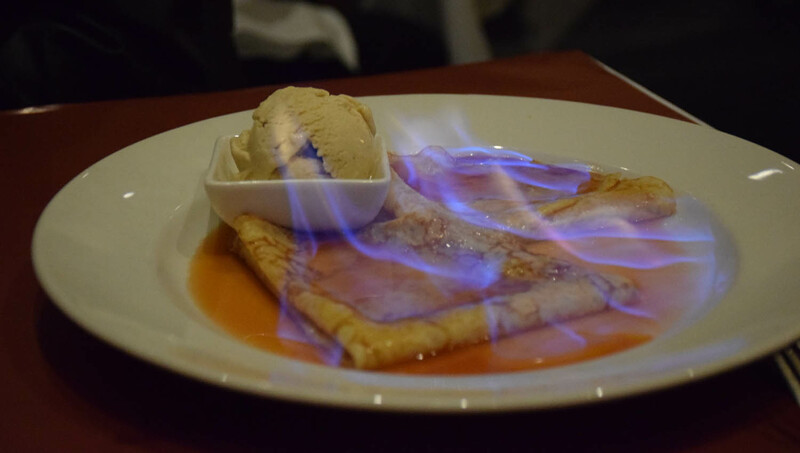 Because when your dessert is set on fire in front of your eyes, you must be on to a winner! Pricewise, this isn’t an overly expensive place to eat out. Mains generally are under $45, there may be a couple of exceptions, but that’s a pretty decent price for this kind of dining. There is a pretty decent wine list too. The chairs and space could be a little more comfortable – I am guessing that this is compounded by a lack of space, although there is I think a function room upstairs and possibly more seating. Service here is attentive and considerate. 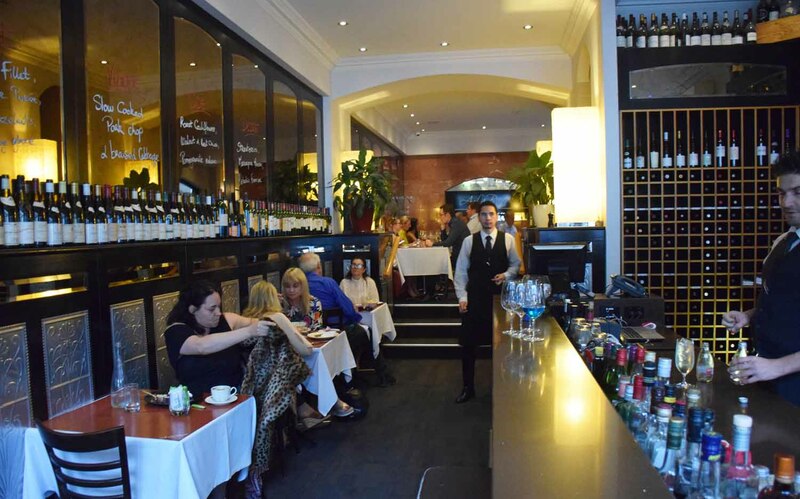 All in all, if you’re looking for French dining in Melbourne, you could do a lot worse than visit A La Bouffe. Thanks for reading, and May the Journey Never End! Previous Denmark’s worst Export – Married at First Sight! Next Eurovision #ThrowbackThursday – Cheesy Classics!